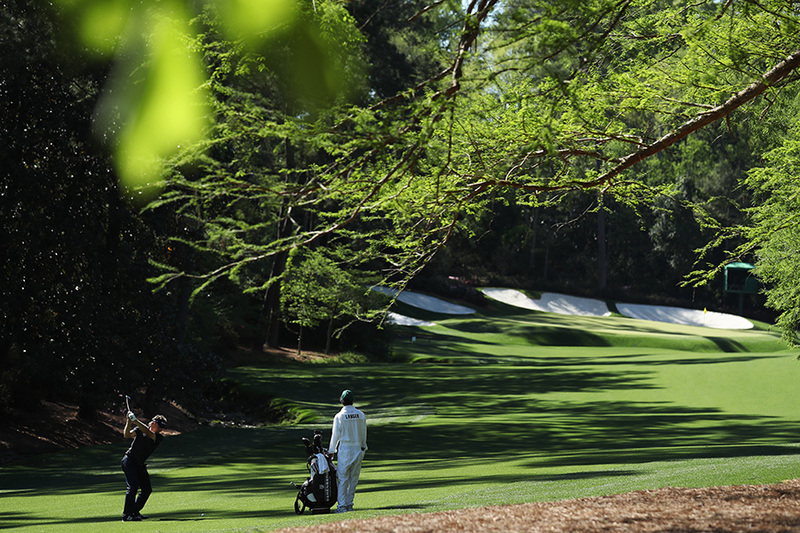 The Masters is of course one of the most unique events of the year. Holding a PGA Tour card alone does not get you in to play and those that do get an invite take a lot of pride in just getting the invite. Winning a PGA event, being a top-50 player in the world or having a big finish at another major — or making the Tour Championship field — are usually the only ways in; unless of course you have already won the tournament, then you receive an invitation for life! Rory McIlroy, who has been dominant during the start of 2019 at times, will be looking to complete his career grand slam with a win here, while Tiger Woods — who beat McIlroy in match play two weeks ago — will be looking to notch his 15th major. There’s plenty of other drama, too. Players on the rise to stardom, like Bryson DeChambeau and Xander Schauffele, will be looking for their first major win, while the likes of Jon Rahm and Rickie Fowler will be looking to shed the title of best player without a major. There are also some players coming in with question marks. Jason Day (back) had to withdraw from the Arnold Palmer Invitational about a month ago but did return to play well at THE PLAYERS. Meanwhile major champions like Patrick Reed and Brooks Koepka enter with question marks due to their recent poor play. Patrick Reed has been receiving some press exposure recently announcing his determination to defend his title. The cut line for this event is also unique. The cut still takes place after Friday, (Our Saturday) but only the top 50 plus ties — PLUS all those within 10 shots of the lead — will play the weekend. 1. Rory McIlroy: He might have lost out to Tiger in the recent WGC match play, but he still has displayed the best form of anyone in 2019. No finishes of T6 or worse in his past five stroke-play events and a win at the year’s biggest contest in THE PLAYERS, Rory looks set for a big week and another attempt to complete his career grand slam. 2. Francesco Molinari: Over his past three events the Italian has recorded a win and a T3 (match play). The Open champion started his season a little bit later than everyone else, but it hasn’t mattered of late, and he’s shown the same killer instinct that allowed him to hold everyone off down the stretch to win his first major last season. 3. Paul Casey: Casey has had a phenomenal start to 2019, with six starts in stroke-play events that yielded two second-place finishes, a T3 and a win. He’s not an under-the-radar play by any means, but given his solid record at this venue, he rightfully should be considered among the players capable of winning this week. 4. Kevin Kisner: In eight starts this year he’s yet to miss a cut and is coming off arguably the biggest win of his career at the WGC Match Play event. Despite some hot and cold putting, he’s managed to finish inside the top 30 in each of his past seven starts, and that kind of consistency makes him an interesting choice here. 5. Matt Kuchar: Kuchar started the season hot with a win in Hawaii but then cooled off for a bit. He bounced back to form big-time, though, in his past two outings with a solo second-place finish at the WGC Match Play and a T7 finish at the Valero Texas Open. Kuchar’s long history at Augusta and his best form in years suggest he could make a run this week.